In the Travel and Hospitality industry, successful companies know that loyalty is fleeting. Customer satisfaction is vital, but often hard to find. Hotels, restaurants, travel agencies, event planners, and every tourism-dependent business know the truth of it. Guests expect and demand A+ service and CMS works to ensure your guests get it. Imagine a front desk that never closes. Guest services that are always available. On-demand registration services, booking reservations with a live person anytime. We give travel agencies and tour operators the ability to easily schedule appointments at their convenience. CMS delivers solutions designed to make you rise above your competitors. Customer-First Call Centers that Keep Guests Happy and Loyal. Let Us Customize a Call Center Solution for Your Business! Every call is answered by highly-trained professionals with protocol tailored to your needs. Satisfy and exceed every guests’ expectations every time. Superior customer service is the root of success and it takes satisfied customers to keep it growing. We treat every call like you want it to be treated. 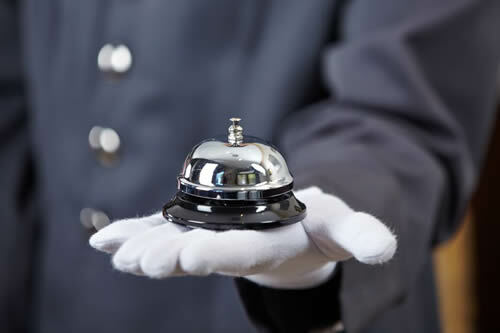 Always available, screening incoming calls, answering questions, providing help and efficiently keeping guests happy. Save time, money and build loyalty. It’s a win-win. Any time, day or night. It’s about your guests’ needs, 24/7. CMS ensures that whatever they need, whenever they need it, they get what they expect and deserve. No one should ever wait to book a room, table, or ticket. We enable guest and travel agencies to book reservations on their terms and at their convenience. At CMS we don’t just answer the phone, we book appointments for travel agents and tourism companies to keep everyone happy and your company growing. CMS Delivers Satisified Guests, Every Time – Every Call. In the world of Travel and Hospitality, choice grows bigger every day. Hotel operators and travel agents know their industry couldn’t get more competitive. We see superior customer service as an untapped competitive advantage. CMS delivers unequaled support to maximize guest services for hotels, restaurants, travel agencies, event planners, and all things tourism related. Our success is rooted in your success. CMS live answering services and customized hospitality call center solutions put your guests first. We deliver satisfied guests every time. It’s a simple formula – exceed guests’ expectations with superior service and let your competition worry about keeping up.